Baleno RS: Maruti Baleno RS is a more sporty and aggressive looking than the regular Baleno. Bi-xenon projector headlamps and power-operated ORVMs. Touches of satin gray all around in the form of new mesh grille, bumper lip at the front and back, and side skirts. Alloys are of the same design and size as seen on the Baleno, But they are black in colour specially for the RS version. 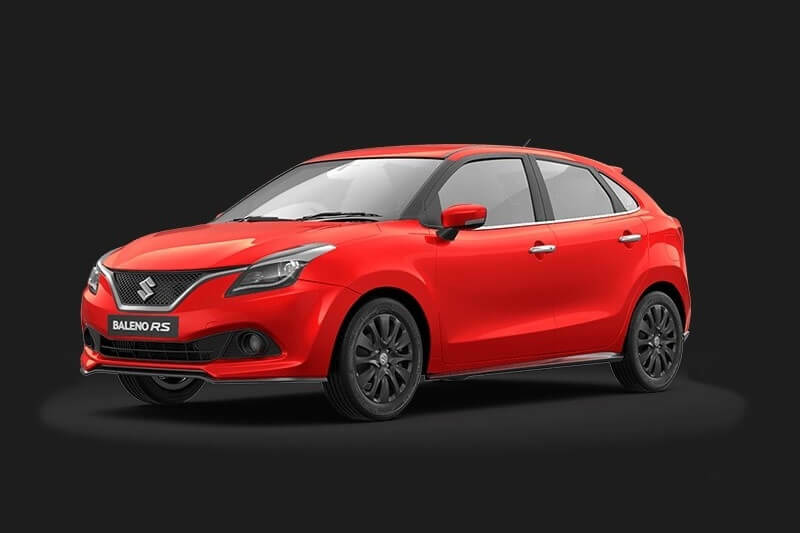 The Maruti Suzuki Baleno RS will come in 7 color options– Fire Red, Premium Urban Blue, Premium Silver, Autumn Orange, Ray Blue, Pearl Arctic White and Granite Gray. 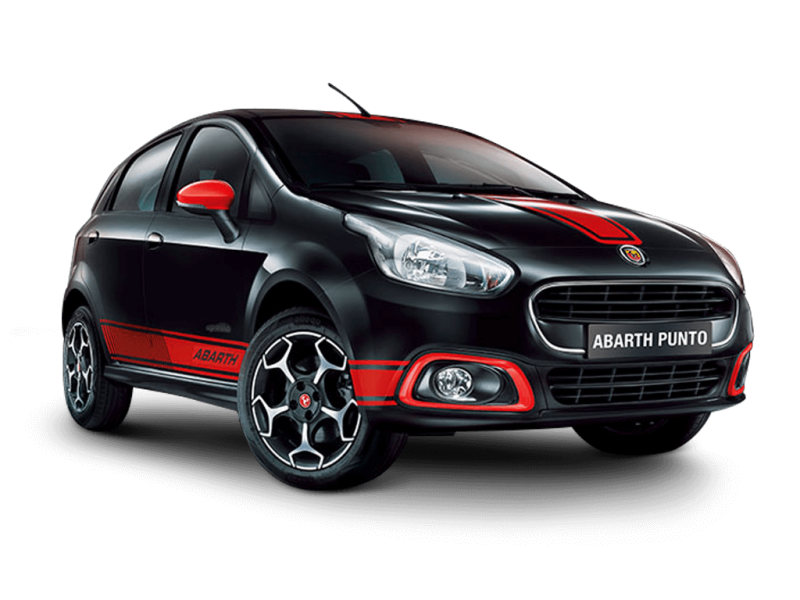 Abarth Punto: The Punto Abarth gets a very loud and flashy exterior treatment that screams about the performance credentials of the car. The Fiat Abarth Punto comes with Abarth’s scorpion emblem. Sporty side skirting and color-coordinated wing mirror caps. The sleek black upholstery accentuated by red and yellow stitching give the interiors of the Abarth Punto a dynamic edge. The Fiat Abarth Punto comes in two color options- Hip Hop Black and Pearl White. NOTE : Maruti Baleno RS is lighter than fait punto Abarth but the wheelbase is more for Baleno by 10 mm hence these factors can be considered when talking about stability of the car . the front wheels via five-speed manual. front wheels via a five-speed manual. It is obviously the most powerful engine of the lot but due to its 1.19 tonne weight is also the heavier than Baleno. SmartPlay infotainment system with integrated Apple CarPlay among others. Fully automatic climate control and rear AC vents. Specifications – Punto Abarth’s 1.4 Petrol motor gives about 45 BHP and 60 Nm more than the Baleno’s smaller 1.0 L unit. However, the Baleno is lighter and wheelbase is 10 mm more than the abarth . 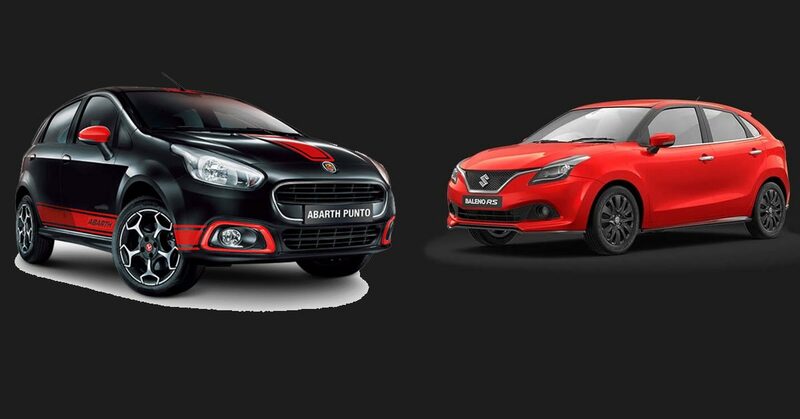 Design – Punto’s Abarth looks more sportier . where as the Baleno RS looks a bit plain .